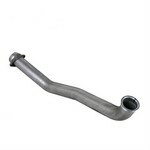 Mandrel Bent 2.25" Crossover Pipe for all 6.5TD's in C/K trucks and Suburbans. 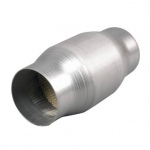 6.5TD Aluminized Steel Hump Pipe for all C/K trucks, all years. 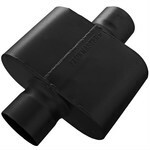 This is the pipe that goes after our downpipe ssd-322001. 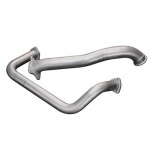 It takes the 4" exhaust over the frame, thats why its nicknamed the "hump pipe". 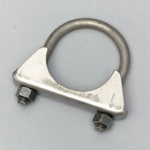 Exhaust Manifold Stud kit for the crossover flanges. All 6.5 TD's all years, all vehicles. Universal rod hanger. 3/8" steel rod, 6.5" long. 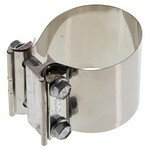 90 degree bracket with mounting hole. Rubber insulator and "L" rod. 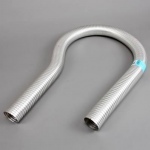 4" ID Aluminized Flexible Exhaust Tubing, 6 foot length.